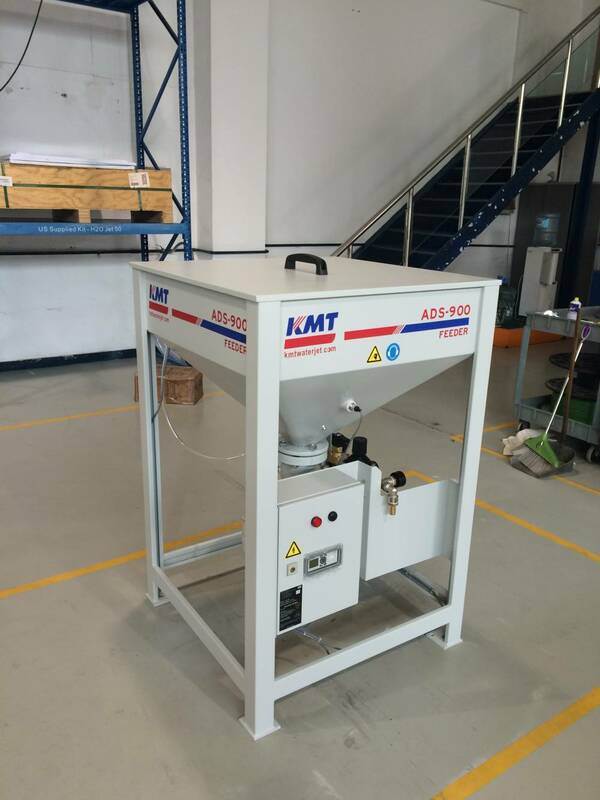 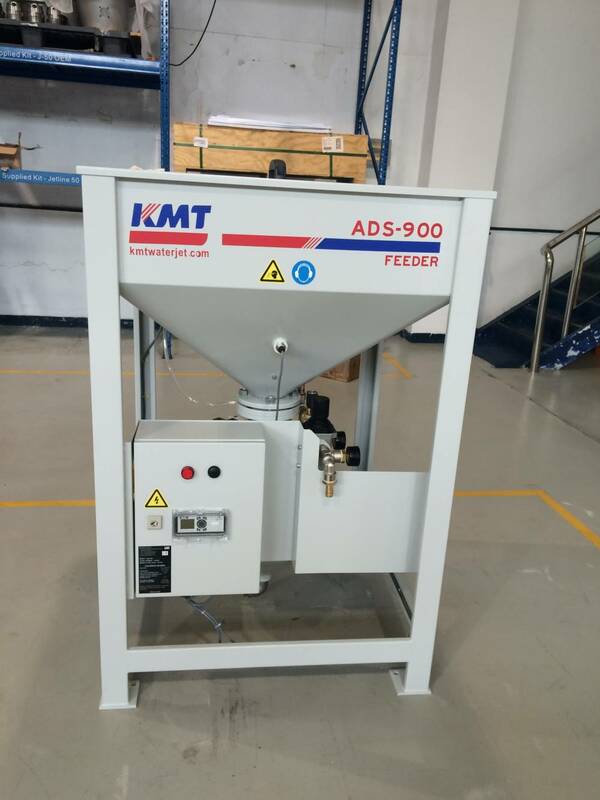 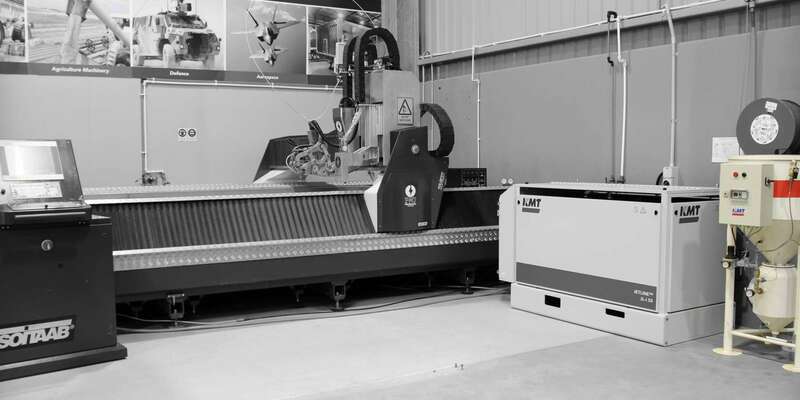 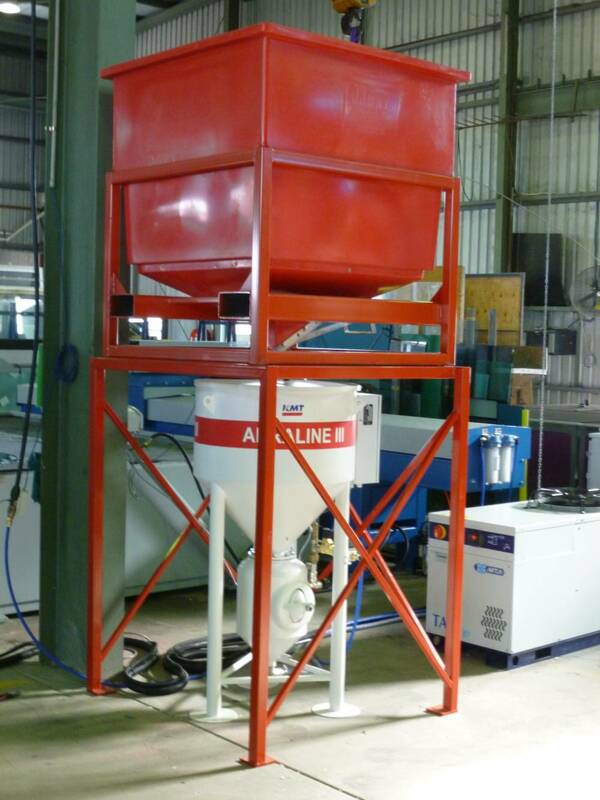 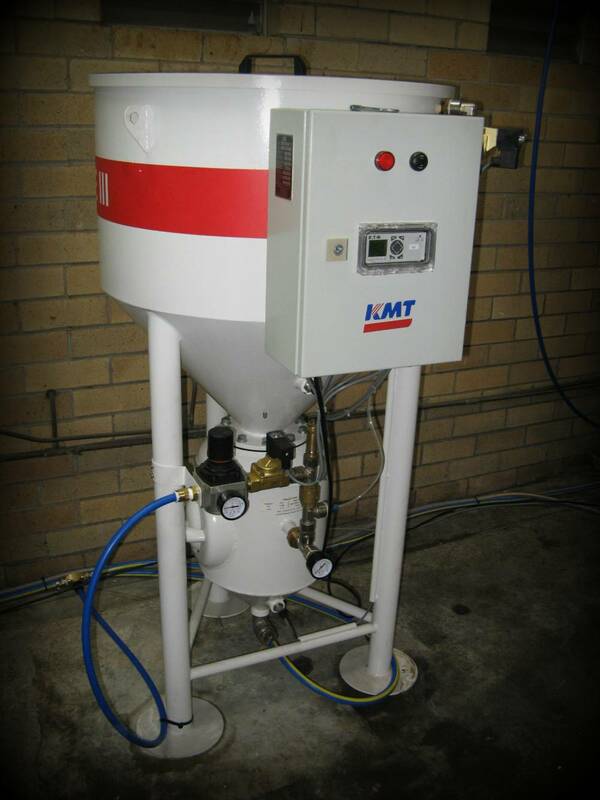 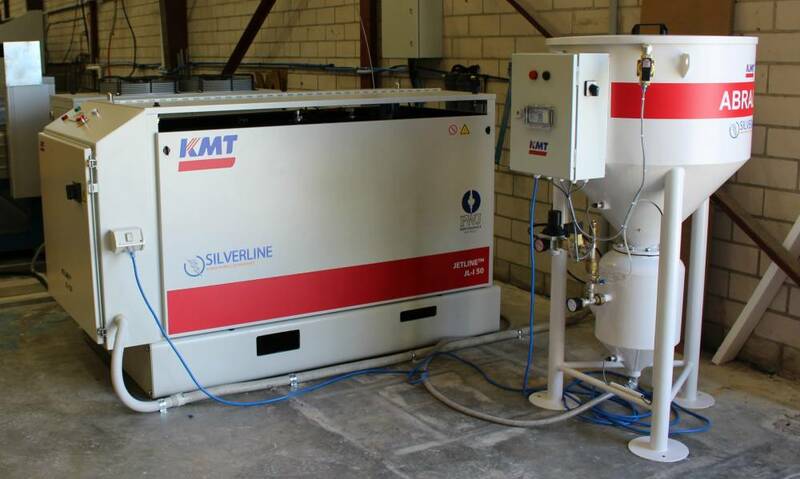 The KMT Abraline V is a dual hopper continuous abrasive feed system which has a 400kg storage vessel integrated with the feed hopper for automatic feeding. 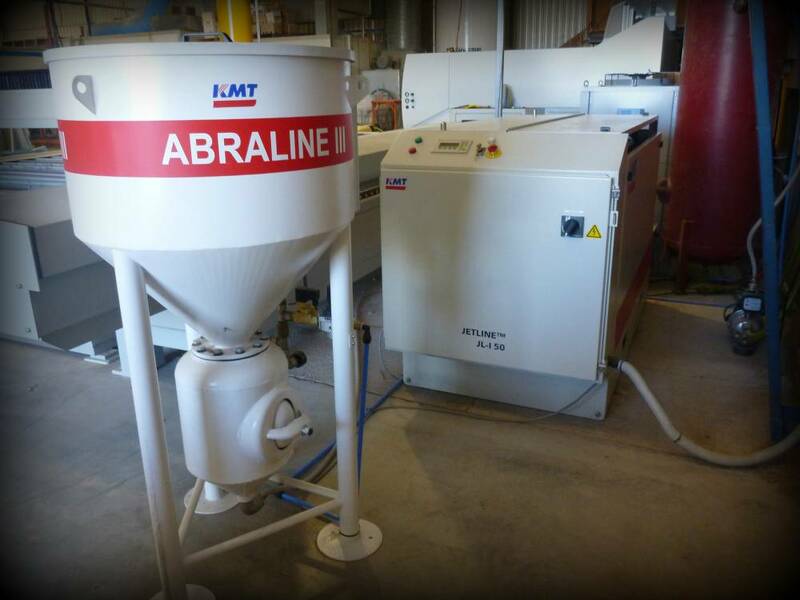 The Abraline V precisely monitors the availability of abrasive during the entire cutting process ensuring your cutting process is never stopped due to garnet refilling. 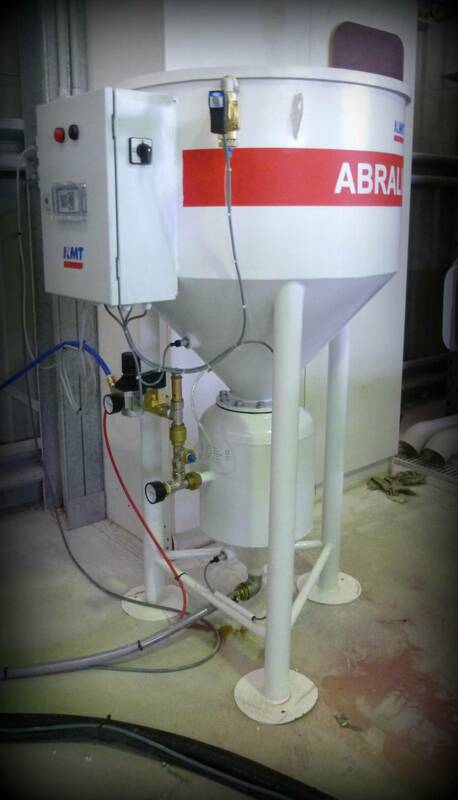 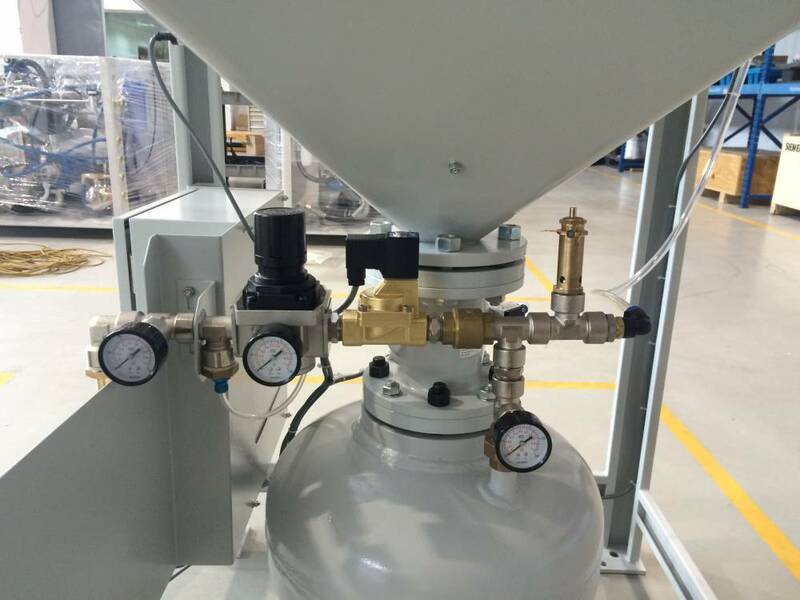 Level sensors on the unit monitor the level of abrasive in the pressure feed hopper and when the vessel is nearing empty, the unit automatically depressurizes and refills the pressure hopper with abrasive from the garnet storage tank. 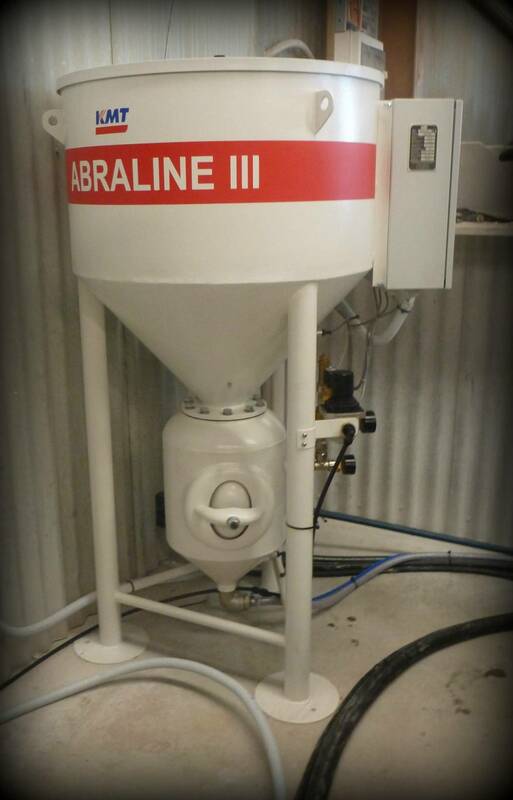 This will continuously happen until the storage vessel is also nearing empty. 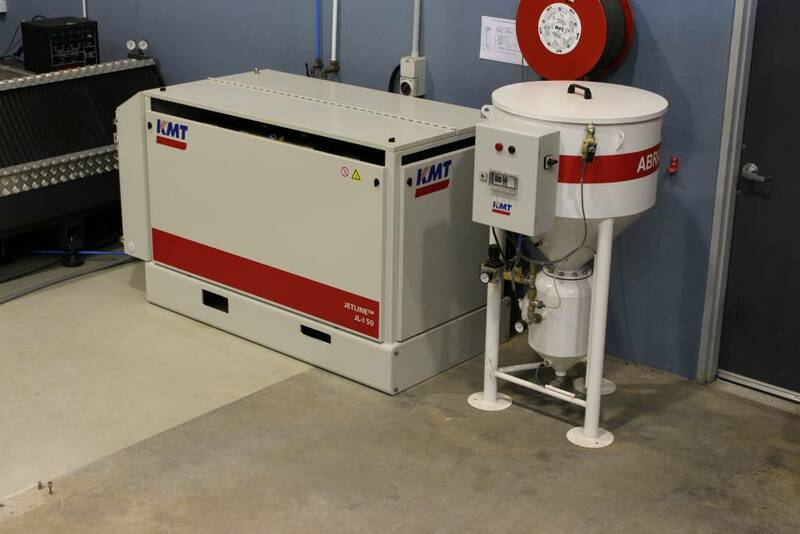 The system will then alert the operator with an audible alarm. 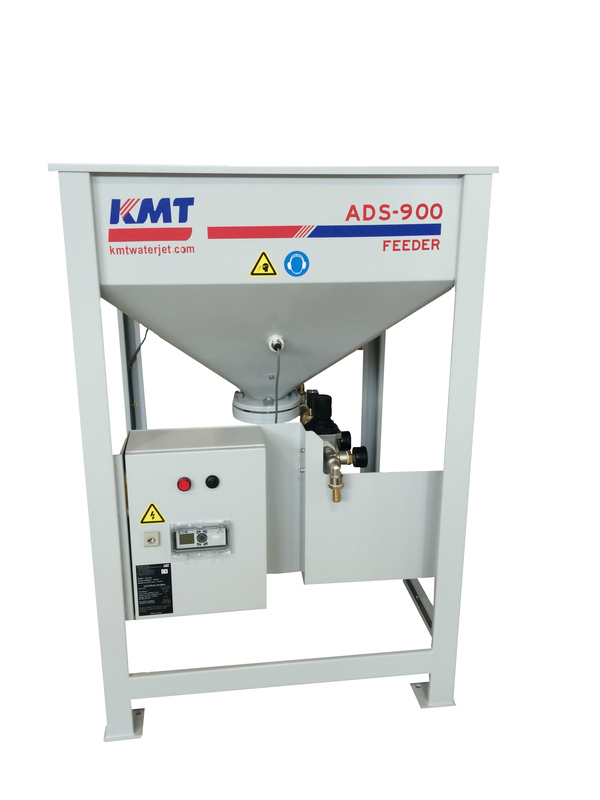 As the size of your feed hopper determines how frequently you need to refill your system, we have a full range of feed hopper sizes which can be matched to suit your production requirements. 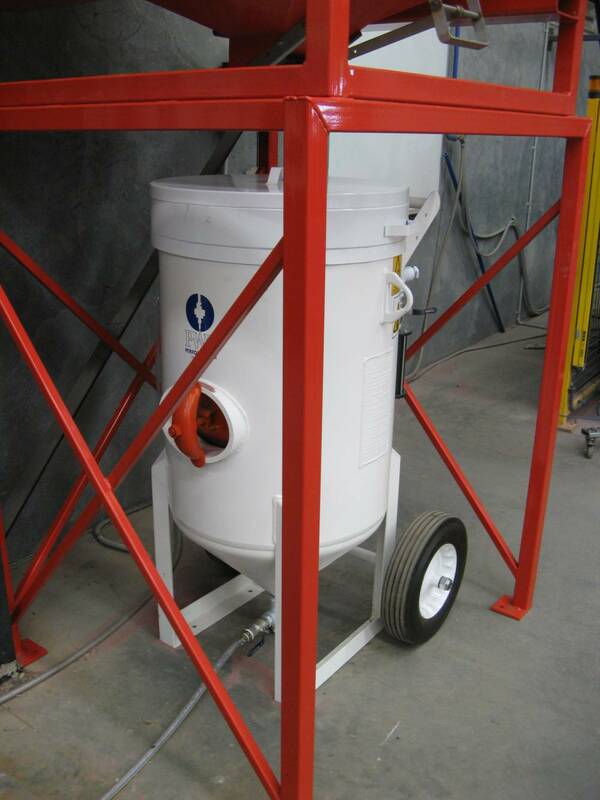 The range starts from 1 cubic ft. and extends to a 20 cubic ft capacity. 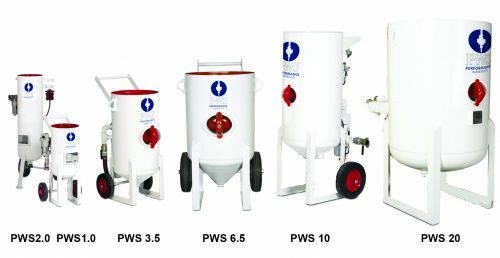 The S Series abrasive feed hoppers are built for continuous high production use and incorporate important features such as the skid base (which results in a lower loading height), self sealing ‘pop-up valve’, large access hand hole, and full flow pipework.